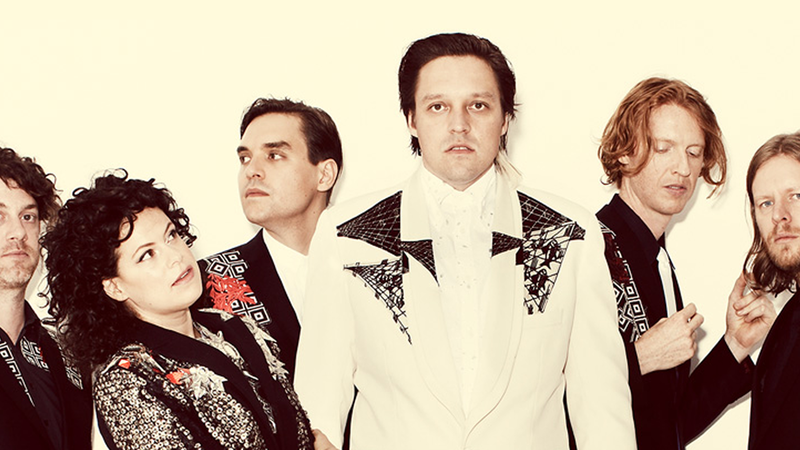 Canadian rockers Arcade Fire were busy this past month. Between playing a secret show in New Orleans and headlining Voodoo Music and Arts Experience the following the day, the "Reflektor" creators have been dropping hints that something big might be on the horizon. As our anticipation for new music and tour dates intensifies, the Montreal natives have made an announcement to hold us over–they’ll be headlining Isle of Wight Festival on June 10, 2017. Considering the band hasn’t played a festival in England since 2014, this is bound to be an unforgettable performance. Could this mean that more dates are on the way? Back in June of this year, bandmate Will Butler (brother to lead singer Win Butler) hinted at a spring 2017 album in his Reddit AMA—so, if our calculations are correct, a new LP could most definitely mean they'll be hitting the road soon. For now, we can only wait and hope that Arcade Fire will bless us in the coming year. Until then, make sure you’re tracking them on Bandsintown so you don’t miss them in your town!